QuarryHouse worked with architect Ugo Sap on this 7,900-square-foot equestrian ranch. Located in central California, Sap sited the estate on the top of a ridge to take advantage of the panoramic views of mountains, hills, lakes, and a river. An expansive light-filled foyer anchors the house. The single-story design features an open floor plan with high vaulted ceilings. 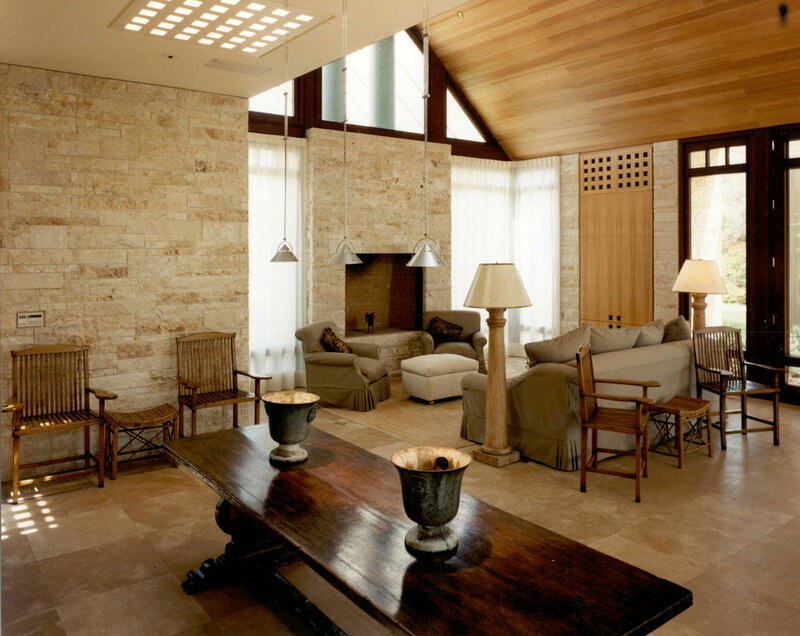 QuarryHouse installed French limestone flooring, rough travertine block walls, and stone fireplaces. Solid mahogany doors and window casements contrast with the pale stone. 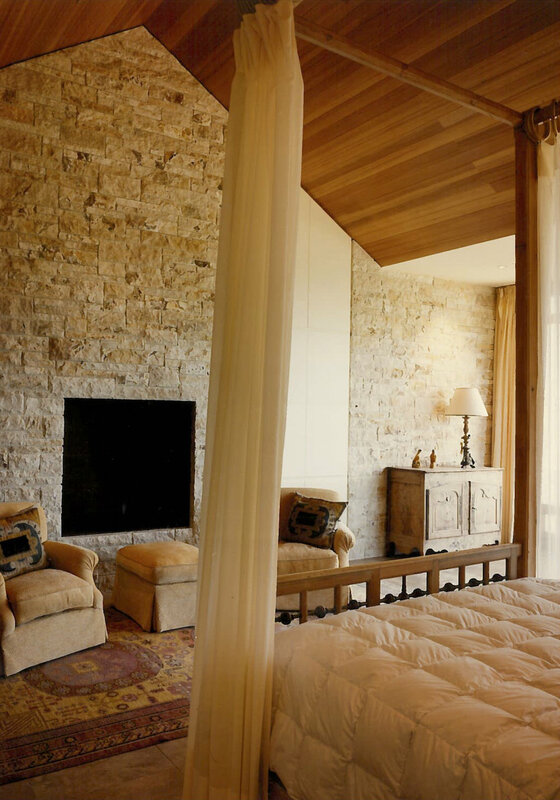 The stone walls and floors continue throughout the home including the generous master-bedroom suite with two bathrooms and a study.